Do you like a little bit of everything? Cool, Drew does too. And he plays it all like a funk soul brother. He brings a fresh, clean, simple, pure, stylish new twist to so many songs we know and love. 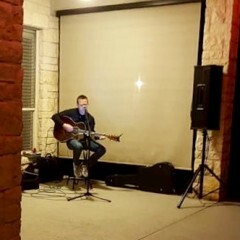 Based in Austin Texas, Drew has been performing live for well over a decade, covering just about anything -- brand new, super old, fast, slow, male, female, white, not-so-white, pop, rock, R&B, soul, country, rap, gospel, etc. Venues range from intimate gatherings in small coffee shops to full-blown concerts in large arenas. Having headed multiple bands in the past, Drew carries a professional signature sound and is comfortable in front of any size crowd. Drew is Amazing! He was trustworthy, professional and wickedly talented. I received compliments all evening of his stunning voice and great playlist. Book him Now... as you will not regret it! Thanks again, Drew, you really made our night memorable. Wow, thanks so much Lauren! I'm not sure I deserve all the capital letters and exclamation points ha, but I really really appreciate it. :) Your wedding was a beautiful blast. So much fun. Everyone I met was wonderful. And the Barr Mansion is incredible. Couldn't imagine a better way to spend NYE ringing in the new year. Oh & those two Ben Harper requests - "Forever" & "Waiting on an Angel" - yeah I've been playing those at every wedding since. Everybody loves 'em, so thanks for boosting my setlist. I owe ya. Much love & best wishes! Creative, Entertaining and a Really Great Guy!!! Drew is nothing short of amazing. From the moment we sent the initial email inquiring on booking him he was extremely prompt and thorough with his responses. When we contacted Drew we had just had a previous wedding singer cancel on us. We were torn on just hiring a DJ instead of trying to find another musician for our special day. In my first phone call with Drew he took at least 30 minutes to answer all of my questions as well as ask me questions to ensure he was a good fit for what we needed. This was very comforting. I didn’t feel like he was just in it for the money. He seemed to really be concerned with making sure we were comfortable in deciding to book him. In planning the wedding alone we were a little be of a mess and not as organized as we could have been. Yet in every interaction we had with Drew he reassured us he would do whatever needed on his part to make it work. It was such a relief to feel like that was one less thing to worry about. We didn’t decide on our special songs until 1-2 weeks before the ceremony. Drew not only learned them that fast but he sent us a recording of our first dance song so we could practice to it. He did such a great rendition of each of the songs he learned for us. We both couldn’t have been more pleased. He is such an creative artist with the way he puts his spin on songs. Extremely talented. Drew showed up on the day of the ceremony earlier than requested. We were actually running late doing last minute pictures with the photographer. I didn’t have time to even introduce myself we were so busy. He took it upon himself to take care of getting set up and rehearsing before the ceremony started. He played for both our ceremony and our reception. For the reception he did a great job of making announcements as needed and played the songs we requested during the times they needed played. We have 4 teenage girls and he even let them take over and do karaoke when they asked. It definitely was nice having someone so open to letting our day be just the way we wanted it. The guests absolutely loved him. A few even got his contact information to book them for their own events. He is so personable and just overall a really good guy. He helped make our special day that much more perfect. If you are looking for some great entertainment for your event Drew is your guy. He is very trustworthy and honest and will do whatever he can to make your event something to remember. Jessica, I'm speechless! Thanks so much for taking the time to write such a detailed review! It's incredible. I'm definitely flagging this as my top "featured" review. :) You and Jason (and Tim, and the girls, and everyone else) were absolutely awesome. I had a blast, and felt so comfortable, like part of the family. Y'all are truly some of the nicest people I've ever met. Can't thank you enough for inviting me to join your special day and hangout with everyone. I hope things go awesome for you & Jason and y'all enjoy a super long & happy life together. Let's stay in touch... Thanks again and God bless!! Drew was an excellent performer, as well as very easy to work with. He was positive, organized, and a lot of fun! We will definitely book him again. I heard many guests say they thought we had a playlist going and were surprised to find a real person sounding so great! Drew is a true class act! He was very punctual and his professionalism was beyond anything I've ever seen. His song choices were perfect and the music quality was top notch. I'm going to make up a reason to have another party just so we can have him back. Wow, thanks so much Randy! That was the coolest Friendsgiving I've ever attended. You and Yvette and all your friends were super hospitable. The food was excellent. The drinks tasty. I enjoyed talking about life and work and family and cars too. Would gladly come back any time, whether I'm playing or not. :) Gig'em! 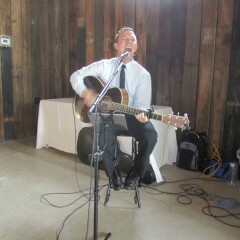 Drew was very professional and performed beautifully for my son’s rehearsal dinner! Was easy to work and said what he did. Would hire him again!! Thank you Teresa! I hope/trust Mark & Whitney's wedding today was awesome. :) You planned an amazing rehearsal dinner. The venue (Deep Eddy Vodka Distillery), the food and dessert (Amy's Ice Cream! ), the music (ha, wink) -- all incredible. I had a blast. See you in San Antonio at John's house in December! Drew was absolutely incredible at our wedding. He was always so responsive and willing to do whatever we needed for our day. Our guests raved about him. Highly recommend!!! Thanks so much Sarah! You were absolutely beautiful Saturday :) and Mark's pretty awesome too. Your wedding + reception at Sacred Oaks was incredible. Thanks again for asking me to play a part in your special day. Best wishes on your long & happy life together! If you’re looking for a true professional, who is engaging, talented and such great vibe for your celebration, then Drew is your guy. He played for my husband’s 40th birthday party, and was the absolute perfect touch to get everyone feeling fun and in good spirits! We so appreciate him and hope to book another event with him soon! 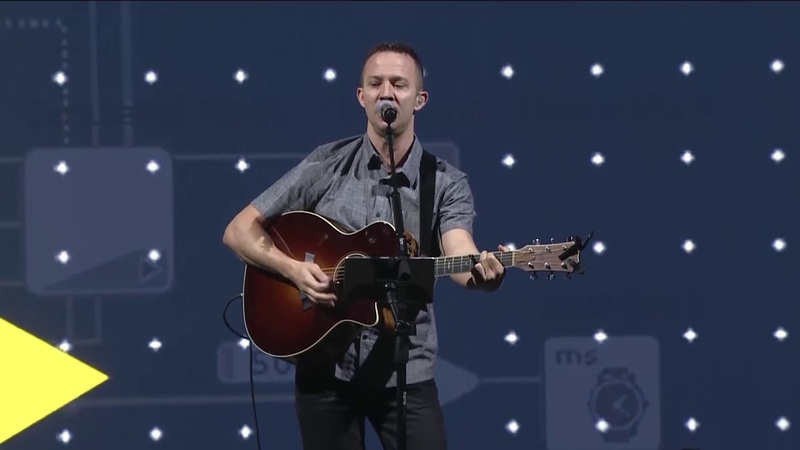 We had Drew perform at our conference of 140 people. He was punctual and had a fantastic set up. His performance was stellar and he was incredibly kind. I recommend Drew for any event 100%. Thank you so much Heather! You were wonderful to work with. Norma was great too. Your event was pretty much flawless in every way. Well done, and thanks again for inviting me to play. I had a blast. Enjoy the rest of your conference! I didn’t get to hear much of the set because he played during seating and cocktail hour- but my guests thought he was incredible. Set the mood kept it upbeat! I wish I could have jammed out too! He learned 3 different songs for my ceremony and made the process super easy. Thank you Lauren! You and Stason and your entire family were awesome. Absolutely beautiful wedding. Congrats and enjoy your honeymoon! Drew Pierce was unbelievable! No one wanted him to stop. Will have him again! Thanks so much Lisa! You and Harry were awesome. And the bride and groom (Melanie and Josh) were wonderful too. I'm glad everyone had a great time. Thanks for feeding me! :) Enjoy your week! Thank you so much Drew for being completely worry-free and on-top of everything. It was such a pleasure to work with you. Everyone was raving about you after the event was over. This was our first big gala and so loads of details hit last minute, but you were so easy to work with that I just knew music was good. One less thing to manage on the day of. AND then your voice is amazing. Your sound was exactly what we were looking for. Just wish I had less to do that night so I could've sit back and listened too! Thanks for being awesome! God bless you! Wow, thanks so much Ashlee!! You and Jake and Beth were all incredible to work with. Such an amazing event with wonderful people. Compasio.org is worth it. A beautiful cause. Perfect night. Thanks again for inviting me to play a small part in your gala. I count it a blessing. Love the work you're doing. Lives are being changed, impacted for the better. You're truly making a difference. So thank you, dearly. Have an awesome week! Drew has a wonderful voice and learned a couple of requested songs for our party! He is super easy to work with and a really nice guy too! Would highly recommend—-he’s wonderful!!! Drew was the perfect entertainment for our closing reception and dinner. He played all the right music that made a good night great. Our guests just raved about his performance. If you are looking for an exceptional live music performance, Drew is your guy! Drew came out for our corporate event and he was phenomenal! I got so many compliments on how entertaining he was! Drew was very polite and professional as well! Can't wait to hire him for more events in the future! Thank you so much Mayuri! Utegration seems like an amazing company. Everyone was wonderful. Really appreciate you hiring me, and for coordinating so meticulously. :) Everything went exactly as planned. Love it. Cheers to 2018! We have hired drew twice and plan on making it a minimal of once a year. First and foremost, he’s a true professional. From his entertainment to his business practices “A+” class act. Having Drew perform at your party is the icing on the cake. Everyone of our fiends and family look forward to his performance. Especially my 6 year old daughter. She and Drew did a duet which created an everlasting memory for my 10th anniversary. If you are contemplating hiring him, do it fast before he becomes unavailable. Thanks for making our parties memorable !! Drew played at my dad's 75th birthday party and was amazing. He knocked everyone's socks off. We gave him a list of some of my dad's favorite songs and he graciously learned several new songs just to play at his party. I thought someone like Drew would be incredibly expensive, but he was worth every penny -- and his fee totally fit within our budget. I enjoyed Drew's vocals so much that I will try to go see him sometime around town. He's great! Drew was fantastic from start to finish for us! From initially answering all of my incessant (borderline obsessive) questions to assuring me that he could learn THREE new songs for our ceremony no problem within 2 weeks, booking him was seriously a no-brainer for me. He was professional and prompt with his responses and I felt at ease from the beginning. I was also on a bit of a tight budget, but he was accommodating and it really was money well spent. On the day of the wedding, he set up early and when I walked down the aisle I was blown away by how well he prepared his own acoustic version of the songs I requested. He also played during our cocktail hour and he relocated to our reception space without issues and my guests kept asking me -- "where did you find this guy?! He's awesome!" If you're looking for someone who will give your wedding that something extra, look no further...Thanks, Drew!! He did an outstanding job at our event. Everyone thought he was amazing. He learned 80 rock hits which went over very well with our crowd. As Drew was packing up after he played, my 4yr old went up to him and said, "Great Concert, Man!" I don't typically think of a backyard retirement party with 30 people as a concert, but Drew's performance was perfect. Our party was low key and family friendly, Drew played music that was exactly what we were looking for. He showed up when he said he would (1hr before he was scheduled to play) so he could set everything up. He started on time and played for the entire time! Our guests enjoyed him so much, several of them are booking him fo their private party... including me! Thank you for everything Drew!! I can not say enough good things about Drew. He played our event for 100 people and killed it. The next day, most of my conversations were about how good Drew was. If you need someone to play an event and keep your guests thoroughly entertained, Drew is your guy. Drew is an absolute superstar! We hired him for our wedding last weekend to do the music for our ceremony as well as to perform during the cocktail hour. He had no problem at all learning the songs we requested for walking down the aisle and just quietly we loved them even more than the originals! During the cocktail hour it was hot so a number of people went inside the venue to escape the heat, Drew was quick to pack up his gear and migrate inside so that everyone could continue to enjoy the music, which we really appreciated and which demonstrated just how committed he was to making sure the day ran smoothly. We had so many of our guests compliment Drew and ask us where we found him. He is passionate, friendly, professional and EXTREMELY talented. Not to mention his song choices are perfect - make sure he plays that No Diggity cover! 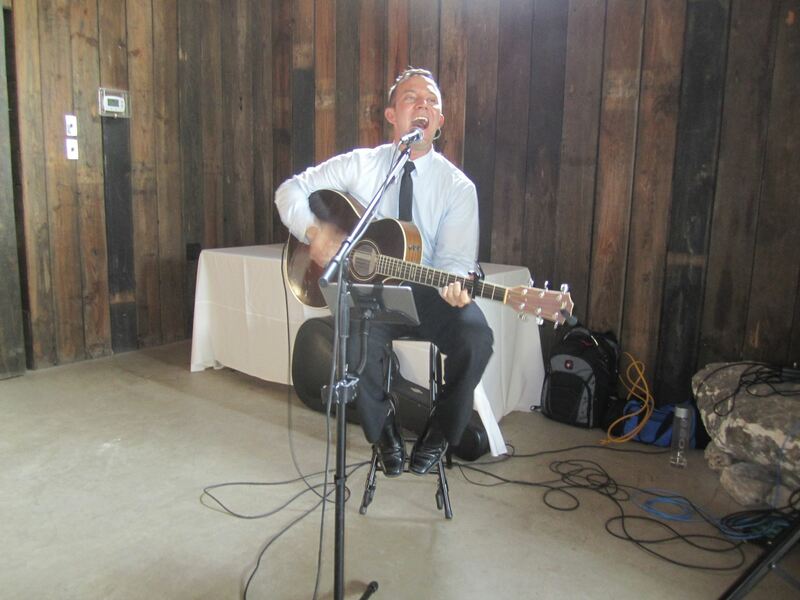 We could not recommend him more for weddings or any other event that requires music. We can't wait to catch him at future gigs around the Austin area! Thanks again Drew, you really made our wedding memorable! Thank you so much Alyce!! You and John are absolutely wonderful people. I _thoroughly_ enjoyed your wedding -- the people, family/friends, location/venue, food, hospitality, love, etc. -- all perfect. Thanks again for letting me play a small part in your hugely special day. I wish y'all the best! And welcome to Austin!! We renewed our wedding vows and had Drew as a musician. He is very talented, music was fantastic, he could play a variety and the entire group had a fantastic time dancing the night away. Very professional and reliable. Highly Highly recommend him. Awesome, thank you so much Amanda! I absolutely loved your family, friends, ceremony, party, home, backyard(! ), etc. Everything was perfect. Such an amazing/fun night. Congrats on many more years of marriage :) and thanks for letting me share the special occasion with y'all! Drew Pierce is an exceptional talent in Austin, TX. 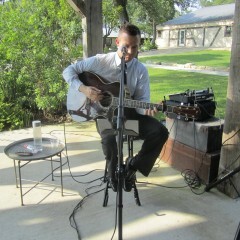 He recently performed for our corporate event at Stubb's B-B-Q and amazed the crowed with his voice and guitar skills. The crowd was a diverse group from across the country and he was enjoyed by all. I overheard compliments on his performance for days after the event. He was a pleasure to work with; extremely professional, organized and timely with responses. I have been planning corporate events for 10 years and I could not recommend him more. You rock Lindsay! Wow, thanks so much. Really appreciate those kind words. I'm humbled and extra grateful. Y'all were an awesome crowd. Tons-o-fun. Plus YOU single-handedly gave me my first opportunity to play Stubb's BBQ which I've been wanting to do for a looong time, so I owe you big-time for that too! Please let me know if you're ever back in Austin, and I'll sure hit you up if/when I'm playing New York! :) Have a GREAT week! Do yourself a favor and book this guy!!!! Drew played a live set at our wedding recently. It was a small intimate family-only wedding, and his acoustics were spot on for the setting. His vocals reverberated all throughout the countryside and it was truly a remarkable performance. He sang our first dance song as well, a memory I'll never forget as he absolutely nailed it. Drew has perfect pitch and really goes out of his way to deliver an awesome performance that will make your event that much more enjoyable. He also offered to learn a song short notice, although we had so much on our plate with wedding plans that we decided to forego that option. We highly recommend Drew for any special occasion where you want to have radio quality live music. Trust me, you won't regret it. Joe!! Man I loved playing your & Kelly's wedding. Y'all are two of the coolest people I know. Seriously, I love both of you. Some gigs feel like work, and other gigs feel like a party -- yours was the latter. :) Thanks for treating me like part of the family. And thanks for everything you said above. It was an amazing night. HUGE congrats. Y'all deserve a lifetime of happiness. Perfect for each other... Glad I was there, felt honored. Thanks again! The Best Choice You Can Make! Drew played for our wedding on February 11, 2017. We knew he was a great singer from his videos, and from the moment we booked him he was very professional and on top of helping us with all the details. He pre-recorded our song so we could use it for our dance lessons, and even made changes to it when our dance instructor made suggestions. But, none of this compares to how great he was the day of the wedding. Drew made our wedding go from great to awesome! The guests absolutely loved him. Our family and friends usually don't dance, but many of them got up and danced. They just couldn't help it. He was fun, interacted well with the guests, and was a fantastic singer. We honestly can't say enough about how great he was. You will not regret hiring him for a moment! We have to say that the people "working" our wedding were so friendly and great that it made our day that much more special. Thank you so much Drew! You are so great and we wish you all the best. I contacted Drew Pierce to sing at my daughter's wedding. I provided Drew the venue, religious parameters and my thoughts. Was extremely impressed with his honesty since he had not performed a traditional Roman Catholic Mass. Drew knocked it out of the park, not only singing songs he knew but learning new songs quickly and creating the reverent atmosphere we wanted. Drew, from our family to you, we thank you. Wow, thanks so much for that heartfelt review Mark! I feel so honored, yet undeserving :) but I really, really appreciate it. I know I put my heart & soul into learning all those incredible songs, so I'm glad to hear they were reverently received. It was an absolutely beautiful ceremony in every way. You were a true joy to work with in coordinating all the details, and the whole church staff, plus your family were all great. Thank you again for the great honor & privilege to play a small part in y'all's amazing day. Congratulations, best wishes, and God bless! I hired Drew to perform at my wife's surprise birthday party. He absolutely killed it. He was so good with all the guests. His sound system is great and was able to play music outside and inside with dual speakers. His voice is amazing as well as his guitar playing. Drew made the party!!! I would hire him again in a heartbeat. Oh wow, awesome, thanks so much Ben!! You and Amanda and Cole [ha] and everyone else were a blast! Lots of love all around. Incredible place too. Really appreciate the hospitality and Chuy's to go!! Y'all are the best. Happy holidays! Drew is amazing!! He performed during cocktail hour at our wedding reception and our guests absolutely loved him!! He's not only a very talented artist but very easy to work with. He has a great personality, covered anything we needed to know and met all of our expectations. Thanks Drew, YOU ROCK!!! Thank you too Maribel! You and Ryan were both wonderful and your wedding was truly beautiful in every way. Y'all really took excellent care of me (with clear instructions and an amazing dinner!) and made it such a great night for everyone. I spoke at length with countless guests who couldn't have been more appreciative & encouraging -- such a fun crowd, incredible friends & family. So yeah, I wish y'all the best in life and a happy honeymoon!! We recently hired Drew to play and sing at a cocktail party at our home. He was very professional in his communications, arrived promptly and did a great job of entertaining our guests. He's super talented and provided just the right vibe for our party. Great voice, amazing guitar skills and able to read the room! Got lots of compliments and will definitely hire him again! Wow, thanks so much Pat! Really appreciate it. I'll gladly come back. :) Your place is amazing. And all your friends/family...super nice. Loved it, incredible evening. Thanks again, and hope y'all enjoy the holidays! Drew was so easy to work with and has an amazing voice! We emailed back and forth a few times before the wedding and had a substantial song list picked out very quickly. He told us the songs he knew and said he would learn the rest of them before the big day. He showed up early and all of the guests absolutely loved listening to him and we are still getting comments about how great he was! Wow, thanks Ashley! You and Ryan are pretty awesome too. :) It was truly my pleasure. An absolutely beautiful wedding. Everything was perfect. Really appreciate y'all letting me play a part. Hope the honeymoon was a blast. Have a happy, long, and blessed life together! I had never even heard of gigsalad but glad I checked it out. I found Drew and he made my proposal to my now fiancé, the best day of our lives. His rendition of "thinking out loud" blew the entire family away! Drew made my night! The songs brought tears, laughter, and memories for a lifetime to our friends. Drew even taught himself new songs so I could dedicate them to my best friends. I hope he records them so I can listen to them over and over! The event could not have been better. Thanks so much Rachel! Like I said on Facebook, it was a blast. Y'all were probably the best audience I've ever played for. Welcoming, appreciative, encouraging, loud, rowdy, and of course, ridiculously fun. :) Loved it! I'll come back any time. Merry Christmas & Happy New Year! Thanks Aaron, it was a pleasure! I really enjoyed your 1 Peter sermon too. And everyone was super friendly. Great family. All around awesome Sunday. Thanks again for letting me be a part! Drew has an amazing voice and of the nearly 100 people we had our party almost everyone of them commented on how great of a singer he was. He was a great communicator, showed up early, and started on time. He had a great professional setup and brought the whole neighborhood together with his sound. I wish I had more events going on for him to perform at! Thanks Jonathan! It was awesome meeting you, your wife, and the whole neighborhood. Great people. I thoroughly enjoyed the evening and will gladly play at any other events you ever host. :) Thanks again for letting me crash the party, crank up the volume, and have a blast! 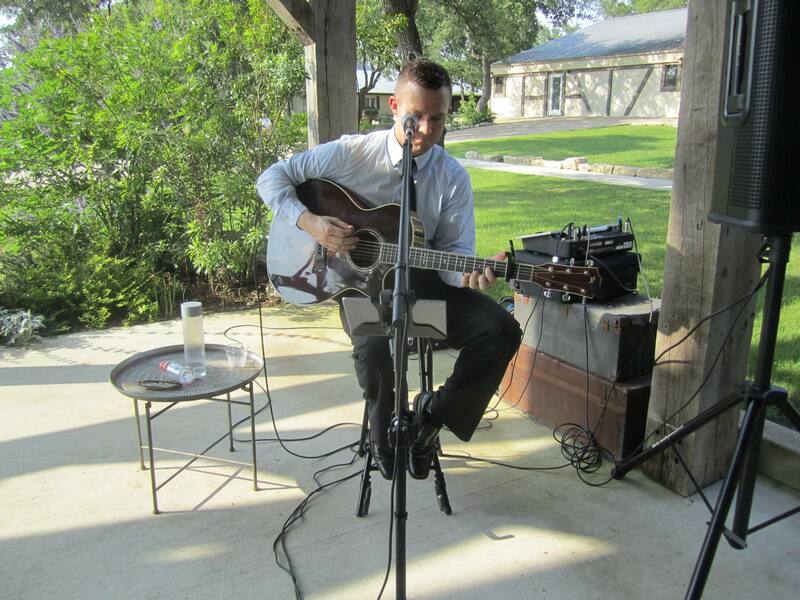 I am very happy to say I hired Drew Pierce to play and sing at my wedding on August 15, 2015. He did amazingly well!! His songs were absolutely beautiful. His voice was romantic for the event and guitar skills were amazing. When the wedding day was fast approaching, I made a very late change to one of my songs. When I contacted him, he immediately responded with, "No Problem!" Drew is very easy to work with and has astonishing guitar and singing skills. I am still following his music and will continue to do so for many years, as I expect great things from this awesome young man! I HIGHLY recommend Drew Pierce at any and all of your future events! You will not regret your choice!! We hired Drew for a small private party. He was prompt, funny, professional, and we had a really good time. We would recommend him to anyone looking to hire a singer/guitarist. Thanks again Drew!! Drew played at the pre-launch party for a startup software company I founded. There were approx 100 people and he flat out rocked the house. His amazing vocal range and awesome guitar skills make for the perfect combo for covers ranging from Sam Smith to Vanilla Ice. Ask him to learn a song or two of your choice, and you just might be shocked with a new twist on your favorite jams. The ladies love this guy...book him to get your party flowing or to set the mood for your wedding reception, special celebration, or company party. "Can't wait to say 'I knew this guy before he was famous'." "When are u gonna go on The Voice?!?!?!?" 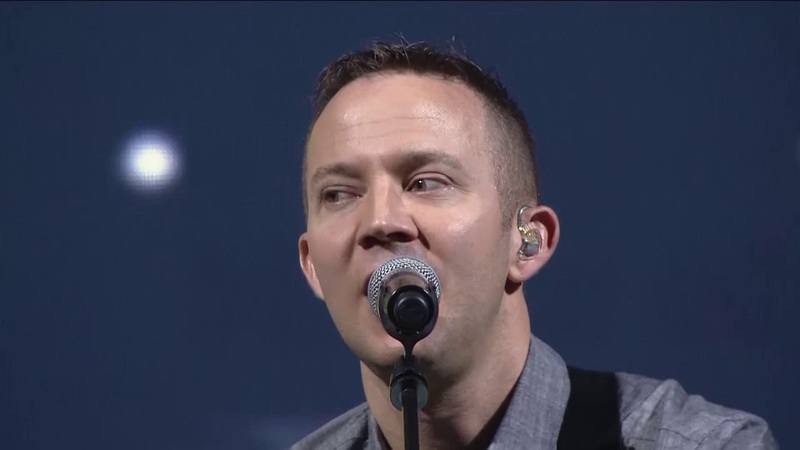 "This man can FLAT OUT sing! Drew Pierce will take anyone's song and make you think he invented it!!" "Holy crap. Great voice, you are good." "Why have you not blown up yet?" "Bro, you are for real UNREAL!!" "I am blown away. You are so talented. Look forward to following you. I wish you knew what pleasure you bring to someone like me! Thank you!" "I don't watch TV, but if you go on 'The Voice' I will start watching." "I feel like I need to ask for your autograph!" "I knew you'd be hitting the big stage! The music guru's are NOW destined to run in to the best the US of A has to offer!! That gift is real, and not a better man to be blessed with it!!" "Very, very talented my friend!" "I love your music, Drew. Can I say, 'I knew you when?' Awesome!!" "Impressed with the vocals, guitar playing, and stage presence." "I just gotta say wow." "I absolutely love your style Drew!" "You keep blowing my mind! Such good talent Drew! Anxious for the next..."
"Holy Cow!!! That is amazing Drew!!! Love it." "You are wonderful. You're blessed." "Wow... so talented... On point!" "DREW!!!!!! That is soooooo good!!!! My absolute favorite so far and you sang it perfectly!! Don't. Stop. You are such an inspiration and motivation. Seriously." “Beautiful. I'd hang with you at a bonfire any day." "Awesome Drew!! Gave me chills!!" "I didn't know you had chops like that!!!" "You are an inspiration and so so VERY talented!!" "Drew Pierce is an impressive vocalist/guitarist and should be on everyone's list of up-and-coming music artists in Austin to see. We're in for a real treat!" "Please try out for The Voice!!!! You are amazing!" ​"Love it you are so talented! I believe you could sang the phone book and make it sound good!" "Dude, that was ridiculously AWESOME! You GOT talent!" "Drew you sound Great!!! love your twist on things... keep it up"
"That was Awesome!! You have done it again... You RoCk!!" Drew was raised in a family of musicians in Centerville Texas. He started on the drums as a child, singing headset Garth Brooks songs in talent shows with his father's band. 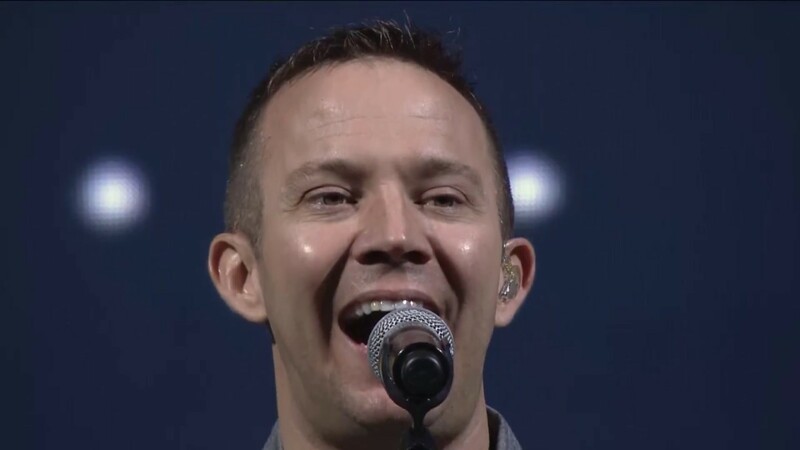 Rolling into high school he played quads, snare, trap set, keyboards, and marimba, eventually picking up acoustic guitar in college -- all the while singing lead, baritone, and bass in several touring a cappella groups. 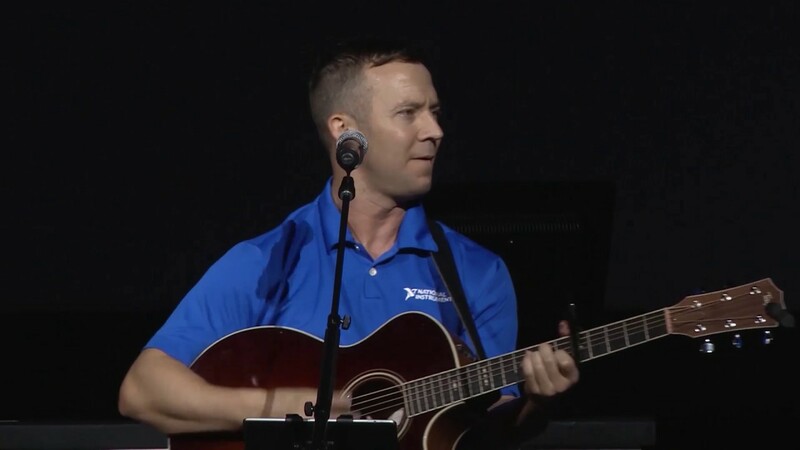 He went on to serve as worship leader for churches in College Station, Dallas, Bangkok, Washington DC, and Baltimore. Drew's musical influences are vast and diverse, as you'll hear from his set list. No single genre captures all the soul-shaking rhythms and melodies that move us, so he listens to everything, and puts his spin on whatever songs strike that special chord. He's an old soul with young energy -- a mature voice singing ridiculously immature songs like Ice Ice Baby and Smelly Cat. After a brief stint in Round Rock, he moved to downtown Austin in August 2014 within walking distance of most venues. 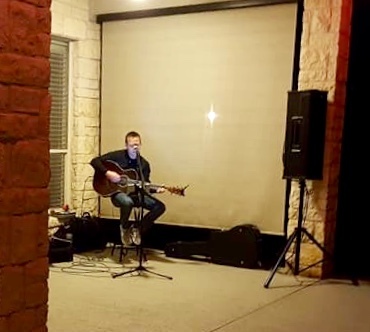 He has performed at SXSW, The Vulcan, Cedar Street Courtyard, Fado's Irish Pub, Waller Creek Ballroom, Cooper's BBQ, Hotel Van Zandt, The Ranch, Swift's Attic, and many other places all over Austin, San Antonio, Houston, and Dallas. Aside from everything above, Drew is also an electrical engineer and now sales manager for National Instruments, a big high tech company headquartered in Austin. When he's not playing music, you can find him at the gym working out, on the tennis/volleyball courts, mountain biking, running town lake, disc golfing, riding motorcycles, eating cheesecake, drinking Diet Dr Pepper, or writing in third person. Drew has all of his own extremely professional sound equipment. You only need to provide access to power. If you like Gavin Degraw, you'll probably like Drew. Access to power, that's it!